These images and videos will never see the light of day in the corporate media editing rooms because they expose their almost six year narrative on Syria as one of the most criminal propaganda projects ever deployed against a sovereign nation, its people, its state and its national army. The prolonged dehumanization of the majority of the Syrian people, the exploitation of their children as cynical props to further the NATO & Gulf state geo-political objectives in the region, the overt and covert endorsement of NATO State-proxy terrorism, the tacit endorsement of economic terrorism via the illegal US/EU sanctions against Syria, all amount to crimes against Humanity and the Syrian people. The #FakeNews “regime change” cohorts are seeing their pyramid of lies being dismantled stone by stone, by the very people they have been claiming to “protect” for almost six years. 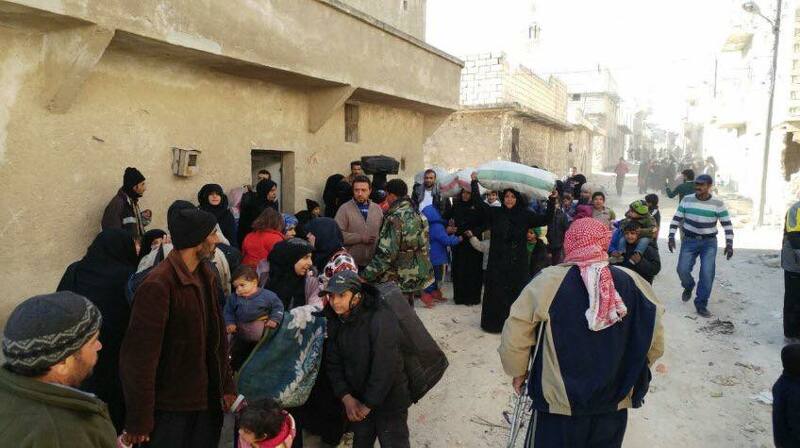 This video shows the reactions of civilians, fleeing their four year imprisonment in East Aleppo, subjugated by various militant factions, funded by NATO states and led by Nusra Front aka Al Qaeda. The first woman, collapses into tears, as she reaches the journalist. These touching moments will be sullied by the corporate media reporting and accounting of events, as they desperately try to resuscitate their expiring Aleppo chronicles. 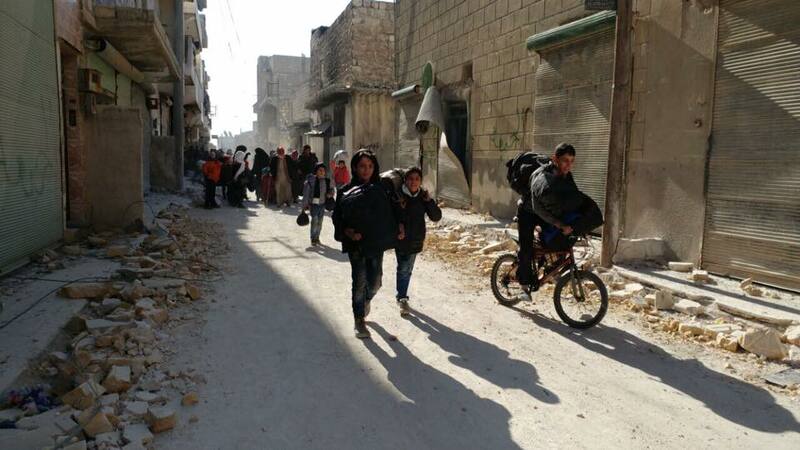 The following images were taken of the fleeing civilians in the last 24 hours. Four more districts freed today, including the pivotal region of Sakhour. In the last 48 hours alone, 12 east Aleppo districts have been liberated. From one area to the next, the “moderate” terrorists are melting down. Most important news today though is the SAA’s recapture of the Suleiman al-Halabi Water Pumping Station. 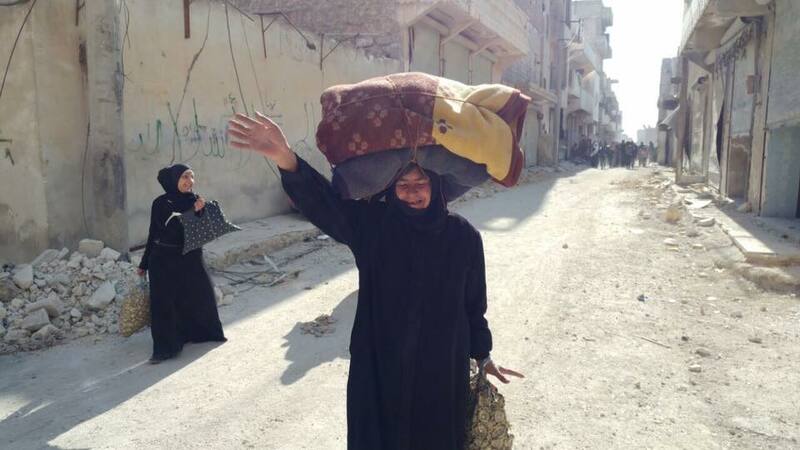 The Aleppo water crisis is over! 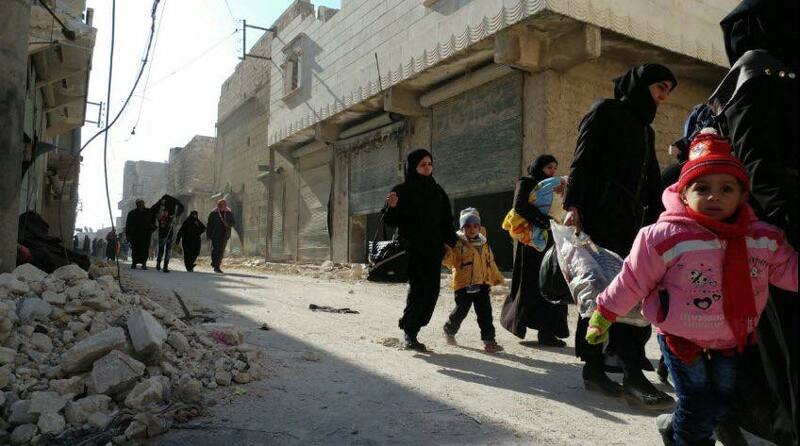 Since 2012, Turkish-backed “jihadists” have withheld water from Aleppo’s residents as a means of blackmailing them into supporting the “revolution”. This has led to unprecedented levels of sickness and malnourishment. 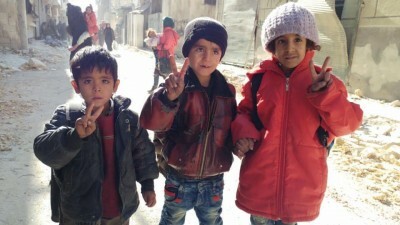 But now, the SAA has restored water to more than one million people as it moves ever-closer to freeing Aleppo entirely. 21st Century Wire will continue to post brief but informative updates as we receive them from known and verified sources on the ground in Aleppo and across Syria or the region.